Just as with adults, children all have their own personality, and we have a little adventurer. Alexander is at his happiest when out and about, exploring, running wild and having fun in nature. He is curious and inquisitive, as most three year olds are, an absolute busy bee, and always on the go. 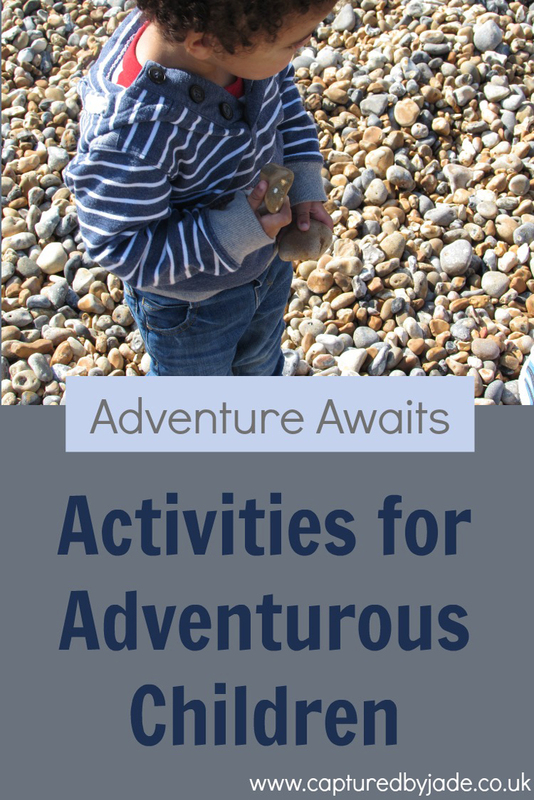 Today I'm sharing ten activities that are sure to be a hit with children who love to adventure, explore and experience new things. We've done this ourselves with Alexander, and any transport or vehicle loving child is going to be in their element doing this. On a day to day basis Alexander is constantly vehicle spotting - cars, trains, planes, motorbikes, you name it - and so last summer we took him to go plane spotting whilst we were in Birmingham. He absolutely loved watching the planes take off and land. It was such a fun experience, and wonderful to see him delight in the activity. There are National Trust properties all over the UK, with historic buildings to explore and plenty of land to run free on; there is something for everyone when it comes to visiting a National Trust property as a family. Being that National Trust is a charity, they rely heavily on visitors to keep them going, and they also offer a membership for a minimal fee per month. You can find your local National Trust property here. Here in Wales there is a vast number of castles to explore, so there is no shortage for us, however there are many castles dotted all around the UK so why not visit your nearest one with children in tow. Castles make for a great outing as they provide the perfect combination of being an educational visit whilst also letting children have fun with their imagination. 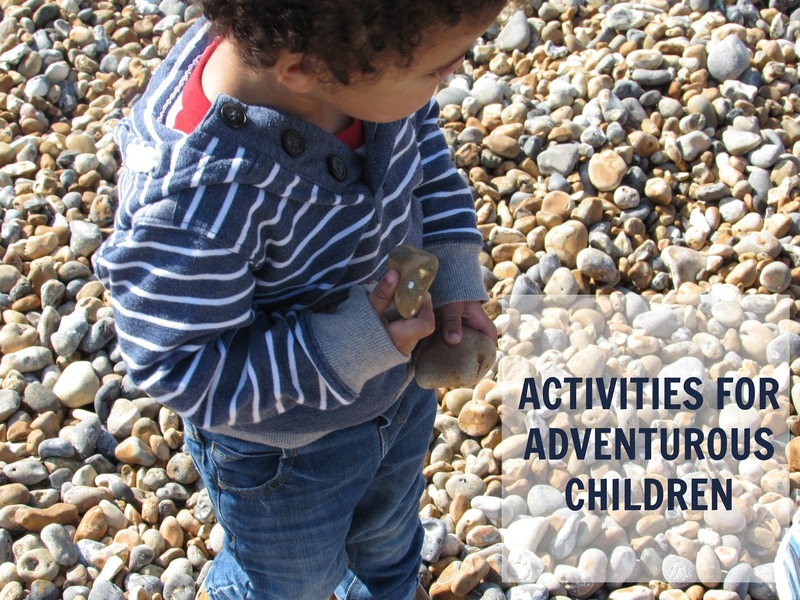 Sticking with days out, heading off to the coast is another great activity for adventurous children. There are endless opportunities to be found by the sea, including building sandcastles, pebble collecting (a favourite of my son's), stone skimming, jumping in the waves, walking barefoot whether on stone or sand, exploring rock pools and so much more! A lot of us tend to visit the sea during the warmer months in spring and summer, however the colder seasons provide endless opportunities also - just remember to bundle up! If you're looking for a free, but fun, activity to keep your little adventurer entertained, why not go park hopping? Park hopping is simply visiting more than the one park during a specific time frame, typically a day. Playgrounds in particular are a great delight for children, so why not make a day of it by bringing a picnic along. This is one of Alexander's favourite ways of adventuring. We live in a valley in South Wales, and there are untold trails, paths and woodland areas around us to explore. Whilst out walking, you could also include a scavenger hunt, where you keep a lookout for specific sights. You can also make it more of a sensory experience by paying attention to what you can see, hear, feel and smell. Particularly great for children of a slightly older age, star gazing is another experience that can be greatly enjoyed. If you have the space, you could put a tent in the garden and even have a bit of camp out after star gazing. Older children would even maybe enjoy the addition of telescope and such. I know I've already mentioned walking on this list, however we do tend to go out at the same sort of time with our children. Or maybe that's just me! Getting out and exploring at a time you wouldn't typically, say after dinner, is a whole new experience in itself, even if you walk on a route you take daily. A more travel related activity, making fantasy holiday postcards is great fun, especially if you're a travel loving family. The activity is not only great as your child gets to use their imagination and creativity, but it's also great for you as the parent because you can get an understanding of what your child is hoping to get out of your family travels. I'm ending this list on an activity we haven't done ourselves just yet, but that I know we will do plenty when my son is a tad older - planning adventures as a family. I think sometimes as adults we can get caught up in planning the next holiday or day out ourselves, without including our children in those planning stages. This is another of those activities that is perfect for slightly older children; taking them along with you through all the stages of a holiday can be an adventure in itself! ...your busy little man sure is getting BIG. Ah, I remember Alexander's first trip to the beach... In one word: interesting! Haha! I hope they loved it! Haha! Kids imaginations are a wonderful thing. There is so much to see and do at castles.